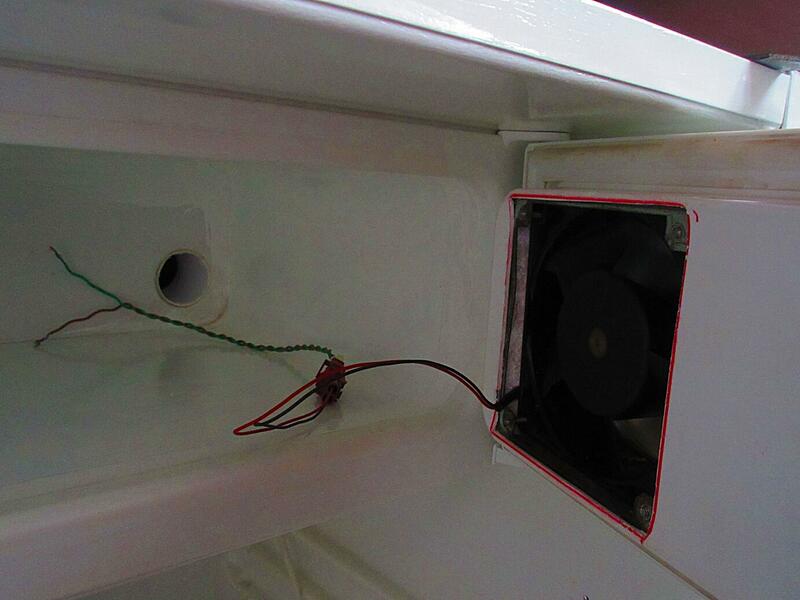 Finally decided that it would be OK to put the circulation fan in the door of the Freezer compartment. As you will notice this required slicing a chunk off the shelf that is part of the door to allow the louvres to rotate open. I also removed the refrigeration pipes now that I know that venting the coolant in this system will not harm the environment. 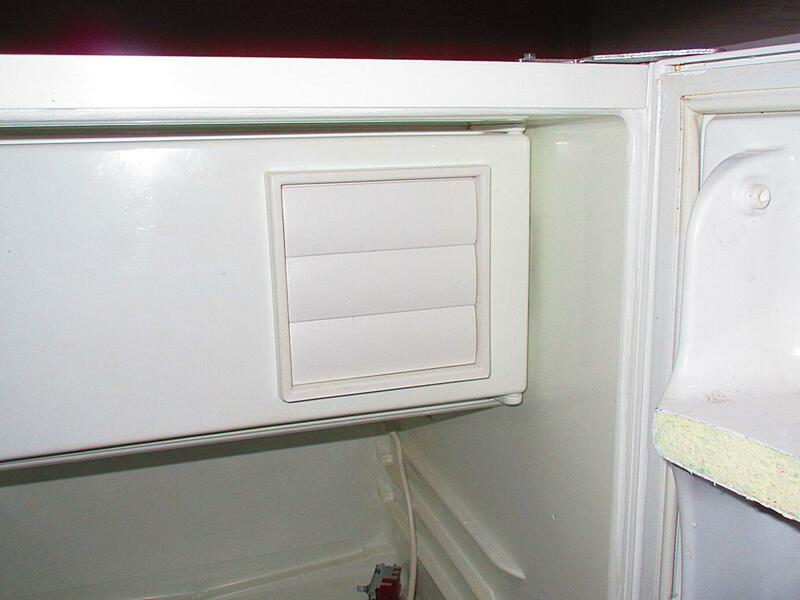 Below you can see the inside of the freezer compartment showing the rear of the circulation fan and the air intake / cable duct opening at the back of the compartment. I’ve also decided to go ahead with housing all of the electronics including the air heater inside the freezer compartment so if this proves too small for whatever reason then another hole can easily be made now that the refrigeration system has been removed.